Last week Apple released an early version of its firmware for its new HomePod home speaker that will be going on sale at the end of the year. Buried deep in the firmware was a hidden image of the iPhone 8 that many have been interested in. Here’s everything you need to know. Apple has always released firmware early for new products, or betas for developers. Ultimately buried deep in those source files, developers can uncover items Apple don’t want found, but still needed to be placed in the firmware. That is just what one Apple developer did. The developer dug through files in the firmware that the HomePod will run (a skinned down version of iOS) and found a new framework called “BiometrickKit.” Now, BiometrickKit is not new as it is a part of the Touch ID features that the iPhone currently has. This find has been checked out by other developers, and has been proved to be real. 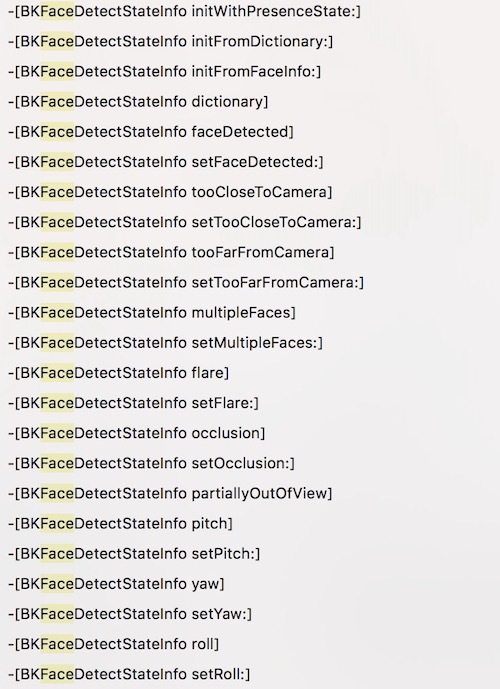 Within BiometrickKit, however, there are new references to “Face Detect” frameworks, including multiple faces, a missing face, or the face being too far from a sensor. The first thing that we can infer from these frameworks (below) is that the iPhone 8 will, at least partially, use facial recognition as another method of protection or locking and unlocking the device. Various other frameworks, in the BiometrickKit, also point to an infrared sensor being used to detect and capture a face, not just being able to see in the dark. Thus, further supporting facial recognition on the iPhone 8. Finally, the code name for the iPhone 8 which is currently “D22”, was mentioned in an image located in the firmware. The image was a non-specific layout of the iPhone 8 with an almost bezel-less display, and a small cutout at the top for an ear piece and most likely the infrared sensors and facial recognition sensors. With production already rumored to have started on the iPhone 8, this design is almost absolutely the finished product. The phone is estimated to make its debut in September, as usual with Apple, but availability is rumored to be very tight until early 2018. With other rumors of programming challenges for Apple as well getting the Touch ID sensor to work under glass, the team is on a tight schedule to get things working. Nonetheless, this looks like what customers can expect their iPhone 8 to look like.